A retro vibe, but very now. 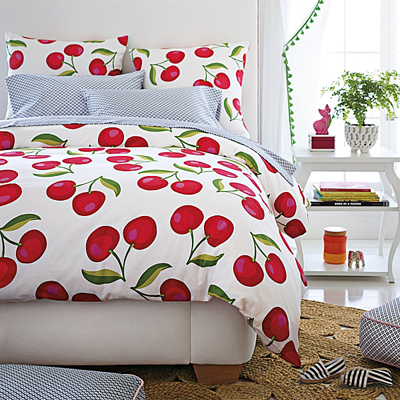 Scaled way up, the cheeky cherries (in juicy shades of red, with a dash of pink and two-toned green) on this Cherry Duvet Cover & Sham have all the artful details of a watercolor. $68-$180. Buy here.